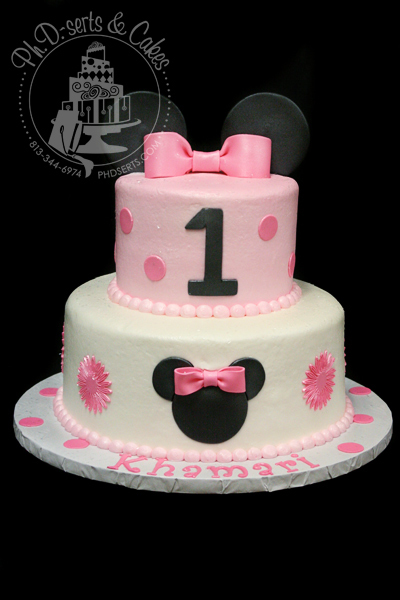 I love this Minnie Mouse-themed first birthday cake. The soft pink buttercream makes it the perfect cake for a sweet little girl. The cake was iced in buttercream and decorated with fondant polka dots & daisies. The bow and ears topper was created out of gum paste. 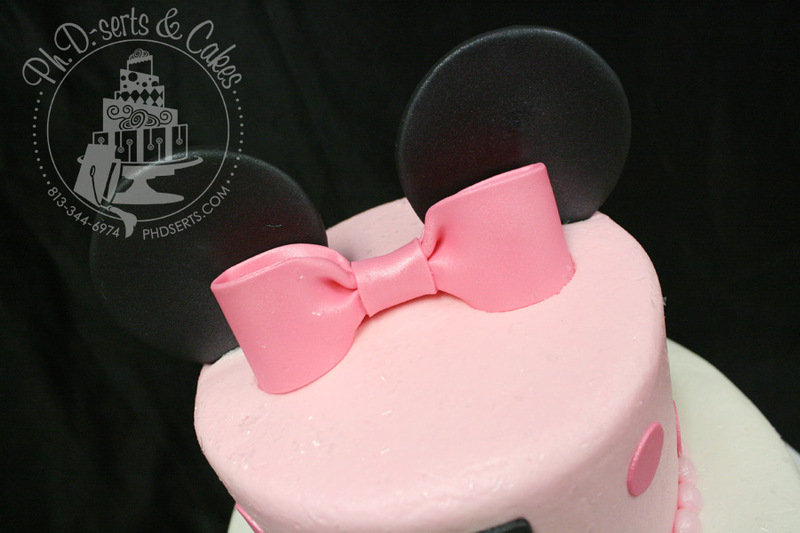 This entry was posted in Celebration Cakes and tagged buttercream, first, fondant, gum paste, minnie mouse, pink by Ph.D-serts & Cakes. Bookmark the permalink. 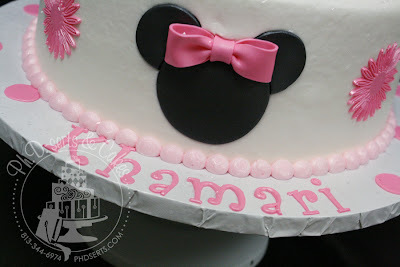 This is very cute; I love it! !